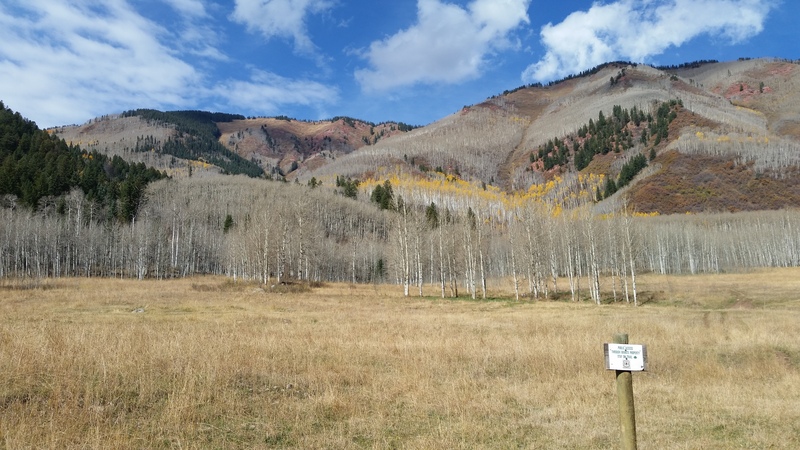 FINALLY I started my long-standing quest to hike West Snowmass Creek Trail. This trail links Snowmass Lake trail and Capitol Lake trail, so I see the trail signs every time I hike those trails and have long wanted to do that link. But it is not a closed loop and the two trailheads are not close together, so to do the whole trail would require a car at both ends. Given the steepness of the Capitol trailhead access road this has been a sticking point to date. This year I had the bright idea of doing this in two halves; firstly from the Snowmass Lake side, then later (on another day) doing the Capitol Lake side of the link, with the goal of getting to wherever I got to from the other side, thus doing the whole trail in two separate attempts. 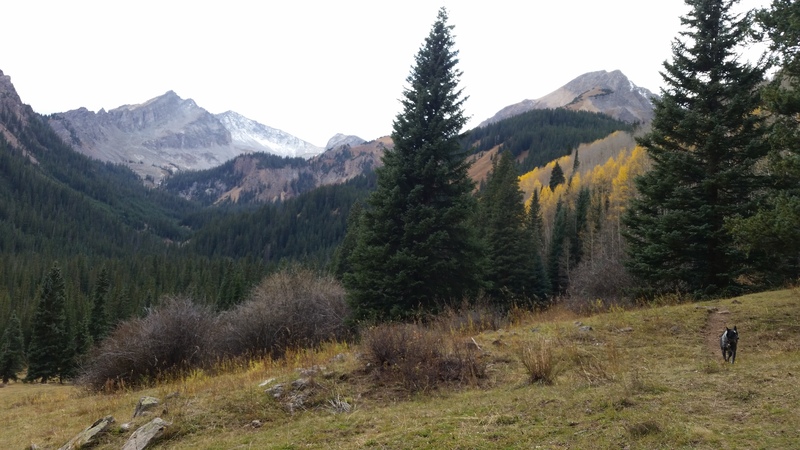 Yesterday I decided to start from the Snowmass Lake trail (25 minutes from Basalt) and see how far I could get. It is hunting season so I wore bright orange and I was very glad I did! I saw two hunting groups and one gunshot was fired quite close by. 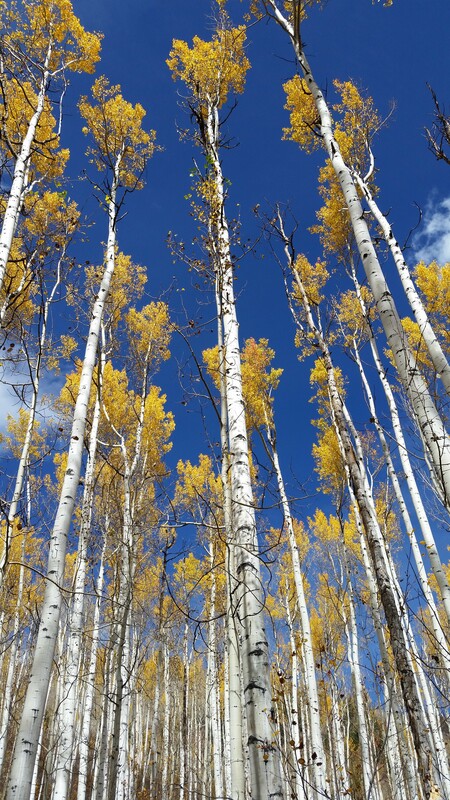 This entry was posted in Uncategorized and tagged aspen, Basalt, bronwyn anglin, Capitol Lake trail, Haystack mountain, snowmass lake trail, west snowmass creek. Bookmark the permalink. Beautiful country, I enjoy the hikes…maybe someday I’ll have the pleasure of trekking them too.